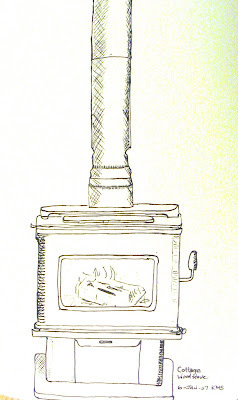 This is our woodstove at the cottage. There's nothing like sitting by it with a glass of wine on a Friday night, knowing you made it through another week. Posted by Krista at 8:43 p.m.